The evolution of the modern power grid has evident challenges as increasing renewable distributed energy resources are outpacing grid adaptation. With increasing availability and access to real-time sensors and actuators for equipment, distributed control and optimization mechanisms are coming within technical and economic reach. Applying these now feasible mechanisms to known and existing technologies in-place brings rise to new opportunities for the integration of distributed energy resources. 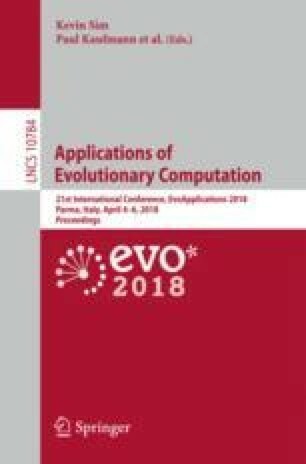 This work demonstrated the use of evolutionary computation in finding optimal control parameters of refrigeration systems whose dynamics are unknown and difficult to estimate. By networking evolutionary processes through administrative layers in the form of cyber-physical graph database models, controllers can be deployed at scale and then configured through genetic search algorithms and network interfaces. The premise and direction of this work focuses on leveraging relational information inferred from the graph database to improve the efficiency of the evolutionary process. The authors would like to thank GreenPath Technologies Inc. for providing their LEZETi air conditioner units and laboratory space for testing and Kahuku Farms for allowing implementation on their farm refrigeration units. H.S. also thanks Dr. Lee Altenberg for the great introduction to the field of evolutionary computation in his ICS674 course at the University of Hawai‘i at Mānoa that motivated the use of evolutionary computation for distributed parameter tuning.